Yikes!! You stayed up late last night doing an assignment that was due the next morning. You were so proud of your work so you ran downstairs and left your assignment on the table so you won't forget it when you leave the house in the morning. The next morning your dog sparkles ran into the house for breakfast, he was so excited that he jumped onto the coffee table where your homework was and decided to rip your assignment. "What am I going to ?" ,you thought to yourself. Your only option is to go to school and hope that your teacher allows you to bring the assignment in at a later date. How will you convince your teacher that you deserve an extension on your assignment? Write a persuasive essay explaining to your teacher what happened to assignment and why she should give you an extension on the assignment. 1. First you will be assigned to a group of four people. 2. Next, each group will brainstorm ideas that will convince the teacher to give you an extension. You will use a graphic organizer to assist you with the brainstorming process. The graphic organizer you will use is called the brainstorming web. The link below will show you how to brainstorm and the picture below will show you how your graphic organizer should look. 3. Then you will write a persuasive essay to the teacher. This essay should be no longer than 200 words. The link below will explain how to write a persuasive essay and what persuasive essays are used for. If you are having issues with the word count, the following video will show you how to summarize. 4. Then you will use your essay as a guide to make a skit to present to the class. The following link will show you how to write a short skit. Steps 1-3 will be done in one class session. Step 4 will be done in another class session. Level of Cooperation Students did not discuss ideas as a group. 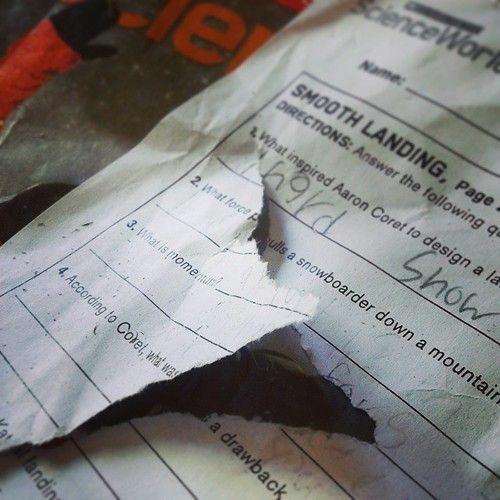 Each students completed their own assignment. Students rarely discussed ideas as a group. Students discussed ideas as a group but did not listen to everyone's opinion. Students discussed ideas as a group and included each student in the discussion. Level of Participation Student did not contribute to the group discussion. Student rarely contributed to group conversation. Student contributed a fair amount to the discussion. Student was fully engaged in the group conversation. Mechanics Misspellings and/or mechanical errors are so confusing that it's very difficult to understand the piece. Several misspellings and/or mechanical errors that interfere with comprehension. A few misspellings and/or mechanical errors that interfere with comprehension. Few or no misspellings or grammatical errors. Structure of Essay Easy has no clear topic sentence, introduction, body or conclusion. Students did not persuade the audience. 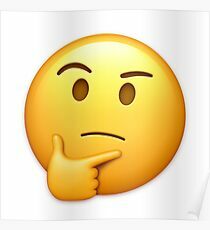 Has a topic sentence, body and conclusion but it is not consistent with the topic sentence. Students did a fair job with persuading the audience. Has a clear topic sentence, body and conclusion. But some paragraphs are disjointed. Did a good job with persuading the audience. Has a clear topic sentence, body and conclusion. Paragraphs are well constructed and students did an excellent job in persuading the audience. Skit Shows little to no creativity. Skit is poorly constructed. There is no clear dialogue. Shows some creativity. Skit is fairly constructed. Dialogue is not easy to follow Shows creativity. Skit is well-constructed. Dialogue is relatively easy to follow. Shows a great level of creativity. Skit is well constructed. Dialogue is clear and easy to follow. Students will be graded as a group. Your teacher had decided to give you an extension on your homework! After what seems to be a stressful morning, you have successfully persuaded your teacher to allow you to bring in your assignment another day. You have used you summary writing skills and persuasive writing skills to convince your teacher. For further details on the different styles of writing watch the following video. Thank you youtube and google for providing essential information needed for this webquest. This lesson was developed to help my students explore more about persuasive essays. This lesson is about persuasive writing. The lesson is about the students using critical thinking skills to effectively write a persuasive essay. They will also use their summary writing skills to ensure that their essay does not exceed 200 words. This lesson was designed for eighth grade English Language. The lesson is designed to cover persuasive writing and summary writing. This lesson can also be adapted for ninth and tenth grade if the word limit is extended. Prior to this lesson learners would have to be familiar with sentence construction, persuasive writing and summary writing. Although the lesson includes a description of persuasive writing and summary writing the students might not fully understand the concepts from the videos alone. Students will learn how to use the internet more efficiently and have a better understanding of persuasive writing and summary writing. Learn about writing Persuasive essays and summary writing. 1. First students will be assigned to a group of four people. (Do not allow students that work together regularly be in the same group because students will be evaluated based on how well they work with others). 2. Next, each group will brainstorm ideas that will convince the teacher to give you an extension. Students will use a graphic organizer to assist you with the brainstorming process. 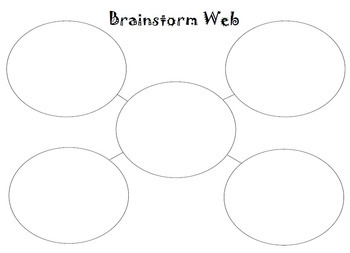 The graphic organizer they will use is called the brainstorming web. The link below will show them how to brainstorm and the picture below will show them how their graphic organizer should look. 3. Then they will write a persuasive essay to the teacher. This essay should be no longer than 200 words. (150 depending on the stream of the class) The link below will explain how to write a persuasive essay and what persuasive essays are used for. (Although this link is available for the students to use you must also explain the essay writing process to them. The video should only be there to refresh students' memory). 4. Then students will use their essay as a guide to make a skit to present to the class. If you are having issues with the word count, the following video will show you how to summarize. The following link will show you how to write a short skit. (the students should have also done summary writing prior to this assignment). This lesson should take place over a span of three class periods. In one period you can organize students into their groups and allow them to write the persuasive essay in that period. Then in the next period they can write the skit and in the third period they can present the skit. This is a single disciplinary lesson. This assignment must be done in a computer lab. Students are going to be divided into groups and they will be divided based on their last names but if there are students in the group that constantly interact with each other they will be switched. Teachers must have good classroom management skills to manage student behavior because they are doing a skit and students normally get excited when they do skits. A novice teacher might not be able to pull this off in his/her first year because he/she might need more practice with classroom management. Internet access, youtube, students' emails, computers, notes on persuasive essay writing and summary writing( 30 copies). A computer teacher would probably also be needed to help students with using the computer. I will know that the lesson is successful when I watch the skits and read the persuasive essays and notice that the students use the techniques learned effectively in their work. This lesson contributed to the lesson helped my lesson alot because it allowed me to integrate technology in my lesson and allow my students to get out of the classroom and into the computer lab. It will teach persuasive writing and computer literacy to some extent.